The commandment is to be thankful for all things in your life, all things that you receive, the good and the bad. And if we do this we are promised by God that we will be made glorious and that the things of the earth shall be added to us, even an hundred fold and more! You can see the similarity to the promise made in Malachi regarding tithing. If we are grateful for what we have, even through the struggles and trials of life, we will have many more things given to us, even hundreds of times that which the earth has to offer, which can be mind boggling to think about. In our world today where consumerism and materialism reign supreme unfortunately we seem to rarely see acts of regular thanksgiving, of sincere gratitude for what we have. It seems to be more important to people to express their wants and desires, their wish lists, and do everything in their power to secure them through their daily work. How ironic is that we have the holiday of Thanksgiving on one day, wherein we celebrate everything that we have in our lives and how richly blessed we’ve been, and the very next day, even within a few hours, we primarily concern ourselves with getting as many material things as possible which we don’t yet have? How often do we “buy things we don’t need, with money we don’t have, to impress people we don’t like” (Clive Hamilton, Growth Fetish)? As the temple teaches us, having sufficient for our needs is enough. Having more than that can lead to pride and ingratitude. In other words, satisfaction for those things that come into our lives is dependent first upon our gratitude for that which we already have. Put still another way, if you’re not happy with what you’ve got, you won’t be happy with what you get. My mother used to like to repeat the old adage, “Fix it up, wear it out, make it do or do without.” How much do we waste when we believe what we have is not good enough? The greed and pride which accompanies those who are not grateful for what they have is quite clear in contrast with those who acknowledge the tender mercies of the Lord in the smallest of things. Controlling our wants and increasing our gratitude and generosity are changes we need to make, said President Eyring. “Someday,” he said, “in our families and as a people, we will live as one, seeking each other’s good.” Of course, President Eyring is referring to a Zion people, such as the city of Enoch, where “they were of one heart and one mind, and dwelt in righteousness; and there was no poor among them” (Moses 7:18). I do not know why he thought that, but I know why he was right. He was right because this is the kingdom of God. If you remember Church history, you will note how Zion was to be built in Jackson County, Missouri. There was to be a massive temple complex built there, in Independence, and that is where we were to build the New Jerusalem, to receive Christ when he comes again. But it didn’t happen. The Saints were driven out of that place. Why? Revelation given in Doctrine & Covenants section 105 tells us that the Saints were not obedient to the law which God had given them, specifically the law of consecration, they were not humble and grateful for that which they had, imparting of their substance to the poor and needy, and therefore they were not united as one people. Consequently the Lord said that the Saints needed to be chastened until we could learn to obey God’s law, become more faithful, prayerful, and humble, and that we would need to wait for the redemption of Zion. 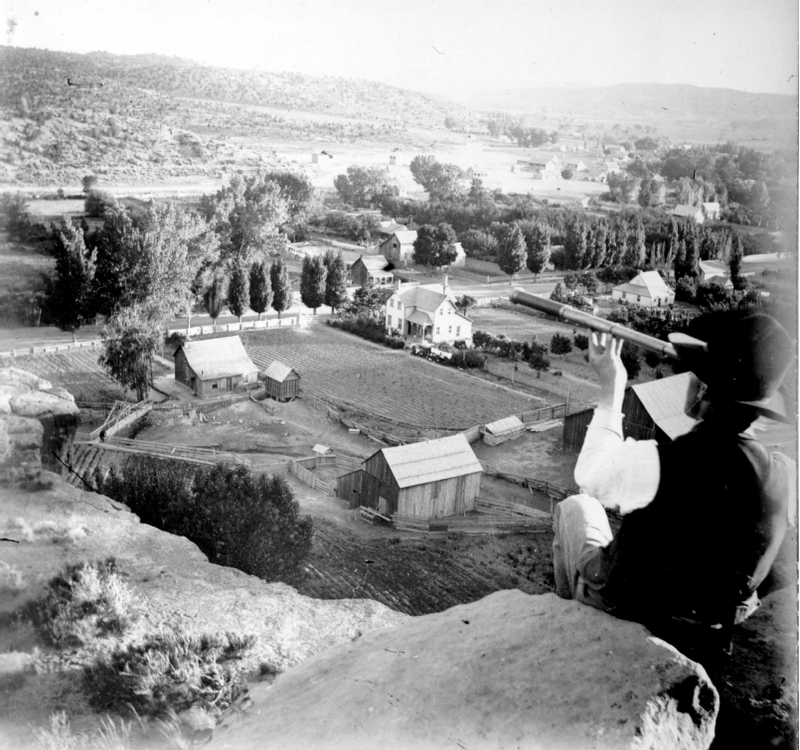 President Lorenzo Snow taught that the Saints were “not justified in anticipating the privilege of returning to build up the center stake of Zion, until we shall have shown obedience to the law of consecration.” Furthermore, the Saints are not “permitted to enter the land from whence we were expelled, till our hearts are prepared to honor this law, and we become sanctified through the practice of the truth” (Lorenzo Snow, Journal of Discourses, 16:276). And so we are like the ancient Israelites, wandering in the wilderness, until we can enter the promised land. Until we are grateful for that which we have, and with thanksgiving acknowledge everything that the Lord has blessed us with, how will we be able to impart of what we have to those around us, to the poor and needy, so that we may be united as required by the law of consecration? As President Eyring noted in his talk, we still “are going to need that change.” We are still learning obedience to God’s commandments, specifically how to be full of gratitude for the things which we have, which all come from God, and to be content with what is sufficient for our needs, so that we may give of our surplus to others who are in need. Only this will bring us to the unity of being of one heart and one mind, even a Zion people. Their having almost nothing provided a basis for future comparison that might have guaranteed gratitude: any food or clothing or housing that came to them in Orderville would be treasure compared to their privation on the Muddy mission. Unfortunately, over time they forgot their previous condition, as life became more comfortable and they were prosperous. They began to covet the things that people had in neighboring towns, and instead of feeling a great sense of gratitude for what they already had, they began to feel deprived and old-fashioned, and began to change the way they lived so they could have the latest and greatest, even when they didn’t need them. Forgetting who has given us all things can lead us to ingratitude for what we have, and that leads us away from Zion. President Eyring also noted that the sacrament helps us to remember what we’ve been given, especially and most importantly, that we will “always remember him,” our Savior Jesus Christ, and the atonement which he has given us, the opportunity to repent and be better. I pray that this Thanksgiving we will remember all that we have in our lives is a gift from God. This gratitude will be a seed of giving of our substance to others who are in need, which will help bring us closer to Zion. Great talk! Do you suppose that a group of Zion-minded Saints could start preparing themselves to live in the New Jerusalem society by launching a Zion(-like) community under the many-good-things-of-their-own-free-will-and-choice principle? Probably not. Some have tried that, and they’ve splintered from the Church and started following their own leaders. Great talk! If we can thank the Lord in the good times,what about in times of adversity? The Lord teaches us in sacred places adversity is a part of mortality. trials and tribulations,as well as the good times with family and friends at this time of year. Thank you for sharing your talk and the wonderful ideas and quotations included. A comment: I fully understand the principle of being grateful for all things, even the adversity in our life. However, having had a son who took his own life, I can think of no way I can be grateful for that horrendous experience of losing one’s child to suicide. Yes, in the aftermath I have had spiritual manifestations which have strengthened me. But I feel I would still be spiritually strong without that particular tragedy. Dramatic or extreme adversity is a law unto itself, I think. I recently found your website. Thank you very much for the work you are doing here.